Total recommended period of study: approx. 3 to 6 months. Continuous enrolment. No time limit. Cost: £275.00 (275 Pounds Sterling) - for currency conversion see www.xe.com )Extra costs & shipping may apply for some non-EU countries - see apply page for details. A specialist course for experienced hypnotherapists, other therapists and intuitives - previously available by invitation only. Textbook study - distance learning. Written assignments based on textbook study and exercises. Assignment questions are issued by email and students return their written work by email. Grades and feedback are issued by email. Students normally buy books from on-line bookstores. Method of course delivery may vary for certain countries. A spiritual and multi-dimensional view of the psyche is being accepted by an increasing number of lay therapists, psychologists and medical doctors, aided by evidence suggesting survival and case experiences that do not fit traditional psychological models. Such a view includes the assumption that consciousness survives death, and that the spirits of deceased persons may sometimes influence our behaviour or our subtle energy fields with varying effects. This course covers the theory of spirit existence and how it is possible to work with clients in altered states of consciousness to identify unwanted influences and then to communicate with the source of the problem and to peacefully facilitate the “release” of the encountered spirit. This work is a specialised type of spiritual counselling in which the welfare of both the client and any co-existing spiritual consciousness is taken into consideration. The course also covers the positive benefits of spirit contact. Hypnotherapy, Reiki, Energy EFT, Past Life Regression Therapy, and other complementary therapies have developed their own specialist approaches towards problems concerning possible spirits. This diploma, first introduced by us in 2008 on an experimental basis by invitation only, is periodically revised and updated. To enable the practitioner to relate his/her practice to relevant theory and the work of contemporary experts in spirit release. To enable the practitioner to acquire knowledge of additional techniques and diagnostic methods for release work (the word “diagnostic” is used here in a spiritual and not a medical sense). To educate the practitioner about the need for and methods of psychic protection and grounding, both for the practitioner and the client. To inform the practitioner about the various possible explanations of apparent spirit attachment. To help the practitioner develop a model of transpersonal consciousness that will inform his/her work. To appreciate that contact with the spirit world can be a beneficial, helping and comforting influence and is part of natural human experience rather than something abnormal that is to be feared. To encourage the practitioner to use conscious or subconscious dialogue to discern between various attachment and pseudo-attachment scenarios so as to deliver appropriate techniques. To acquaint the practitioner with current literature and sources and encourage him/her to build up a professional library pertaining to spirit release and relevant spiritual topics for professional development purposes. Entry to this course is restricted to qualified hypnotherapists or psychotherapists and to experienced psychics who have worked in the field of spirit release but who do not have a specific qualification in this area. References and/or an interview by telephone may be required if we are not familiar with your professional credentials. The diploma is mainly for people who are qualified in a relevant therapy such as hypnotherapy, counselling, psychotherapy, NLP, EFT, Energy EFT or past life regression, and who already have some knowledge and experience of spirit release or rescue work, whether one-to-one or in a group. Practitioners of psychic counselling or mediumship who work in the spirit release field will also be considered. For example, many people volunteer in “spirit rescue circles” without any knowledge of the techniques that have been developed by hypnotherapists and other therapists in this area. Knowledge of such methodology can help greatly in the counselling/healing phases of release work. 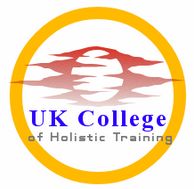 Successful graduates will receive the Professional Diploma in Spirit Attachment and Invasive Energy Release Work awarded by UK College of Holistic Training which is a private UK qualification. Course graduates may use the postnominal initials Dip. Att. S.W. We advise all UK practitioners of spiritual, psychic and intuitive work to consider joining the Spiritual Workers Association if that is suitable for them and if they are not already under the umbrella of a suitable professional organisation e.g. a hypnotherapy society. We reserve the right to change the syllabus and other details of any course at any time. If any key textbook becomes unobtainable we will provide a substitute module based on another book. Goldberg, Bruce. Spirit Guide Contact Through Hypnosis. Franklin Lakes, NJ, USA; New Page Books, 2005. Fiore, Dr Edith. The Unquiet Dead: A Psychologist Treats Spirit Possession. New York, Ballantine Books, 1987. Ireland-Frey, Louise. Freeing the Captives: The Emerging Therapy of Treating Spirit Attachment. Hampton Roads Publishing Company, Inc., 1999. Baldwin, William J. Healing Lost Souls: Releasing Unwanted Spirits from Your Energy Body. Hampton Roads, 2003. Zinser, Thomas. Soul-Centered Healing. Union Street Press, 2010. Martin, Joel. Love Beyond Life: The Healing Power of After-Death Communications. Dell Publishing Company; Reprint edition, 1998. Modi, Shakuntala. Remarkable Healings: A Psychiatrist Discovers Unsuspected Roots of Mental and Physical Illness. Hampton Road, 1997. Hill, Gary Leon. People Who Don't Know They're Dead. Weiser Books, 2005. Botkin, Allan L. Induced After Death Communication. Hampton Roads, 2005.